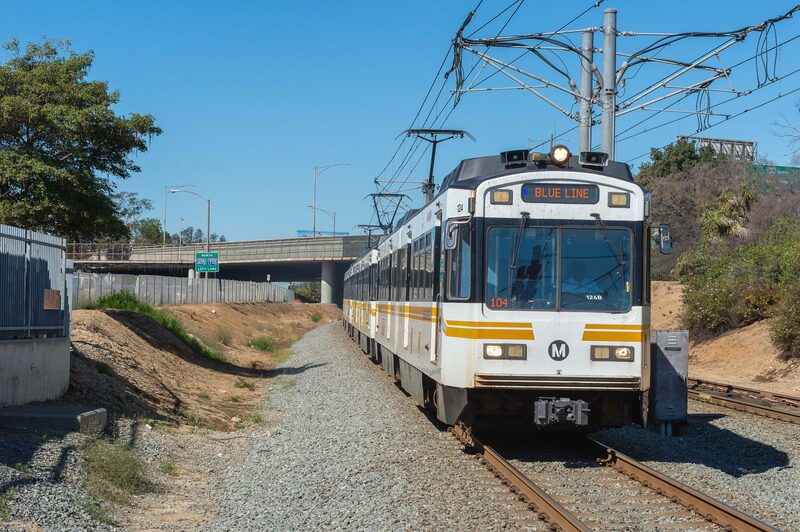 Over the next five weeks, you may notice an increase in the presence of law enforcement on the Blue Line as the Los Angeles Sheriff’s Department and Metro security personnel conduct Operation Better Ride, an ongoing initiative to improve ridership experience. Better Ride will address crime and Code of Conduct violations, particularly vending and solicitation, disruptive behavior, loud music and seat-hogging. The goal is to educate the public about the Code of Conduct so that everyone can enjoy a more pleasant ride. Metro staff will review the feedback and results from Better Ride after the five-week operation to determine future deployments of security throughout the transit system. Of course, Better Ride isn’t just about increased security patrols. If you experience or witness a situation that makes your commute uncomfortable or makes you feel unsafe, please call LASD at 888.950.7233. You can alert Metro staff to incidents by using the train intercom or station intercoms marked by red signs on station platforms, and the Twitter team @metrolosangeles is available to respond to questions directly or pass along information to appropriate staff. We always welcome feedback from customers on how transit trips can be improved. For less time-sensitive concerns, you can also email CustomerRelations@metro.net. With your help, we can make the Metro experience better — because everyone deserves a safe and comfortable ride. Thanks for going after Code of Conduct violations. Looking forward to an eventual round of CoC education on Red Line! Sad that common sense and courtesy must be explained to people, but, well, thanks for doing it. Long time coming. Finish what you start. Thank you for finally addressing the elephant in the room. Is there an option to *text* a security concern to LASD or Metro Security? Often, using the callboxes or phoning in an issue makes one appear very obvious and could put that person at risk of retaliation from the unruly party. Sending a report via text is quick and very discreet for those who may feel too intimidated to use one of the other reporting methods. Also, the TransitWatchLA app was not mentioned. Is it being phased out or something? You can still use Transit Watch app to send in reports via text, but we did not include it at this time due to customer feedback on user experience. The best way to report is still to call. The app is not being phased out, but may be changed/updated due to the security contract expansion to include LAPD and LBPD, and we’ll update as soon as we receive more info. Anna, the issue with the LA Transit Watch app is that it isn’t in real time. I don’t get a response from a person that the LA County sheriff has been notified. Thank you for the feedback, and we’ll definitely let staff know this is a concern. It would be great if they did tell people who have serious hygiene issues to please leave. Like James Bourne said, you do see people leave when that unhygienic person rides aboard our Metro Rail System. Another issue that there really needs to be a way to thoroughly clean the trains and the Metro Rail Stations. It sort of obvious, but the suburban stations are clean and orderly, but as soon you get to the stations in South LA or parts of the Expo Line, it is a madhouse! I honestly think the LACMTA decided to take action these offenses after very recently a Los Angeles Times mentioned how after 19 years of riding the Metro Blue Line, he made the decision to stop commuting via the Blue line. Another probable issue is the recent stabbings that have occurred in the Hollywood Blvd stations. If Metro really cared about the hemorhaging of passengers, they would certainly care about cleaning the trains, the stations, and also do something about how disorderly the Blue line is. I have personally known people who use to ride the Blue, but rather pay extra money for a commuter bus. What about the Red line? It’s just as awfuli. Security is on every line, and we encourage you to email feedback to CustomerRelations@metro.net so they can better adjust their patrols. As a frequent rider, I would suggest that law enforcement focus in on traditionally high crime areas such as South LA, which would essentially mean more security presence on the Blue Line (especially Slauson to Artesia), Green Line west of the 110 and the Expo Line (Western and Crenshaw). Thank you, this is way overdue. I stopped taking the Gold Line in to work because of all the crazy disruptive homeless people that were on the train in the early morning hours. Happy to see this may finally be addressed. !